This lecture on slavery will present an overview of the challenges and an outline of what is needed to prevail, by one of the world’s leading activists and thinkers on the subject, Dr Aidan McQuade, Director of Anti-Slavery International, the world’s oldest international human rights organisation. 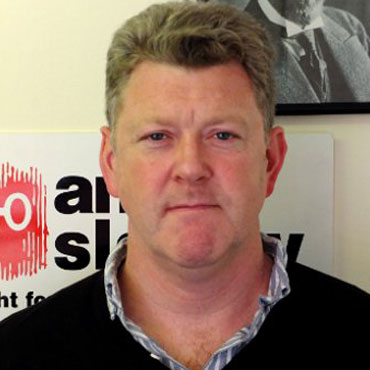 Dr McQuade is Director/Chief Executive of Anti-Slavery International. He won BBC&apos;s Mastermind with specialist subject, Abraham Lincoln and is a regular contributor to The Guardian, Equal Times and The Independent. Arundhati Roy notes that, “There&apos;s really no such thing as the &apos;voiceless&apos;. There are only the deliberately silenced, or the preferably unheard.” Silence is facilitated by social exclusion and discrimination. And, as we have also seen in relation to forced child marriage, this inhibits the issue from becoming a political one: if slavery is being inflicted upon groups and individuals who are denied voice, or who the wider society simply does not like, then that wider community is more likely to tolerate the abuses if they see them and not raise their own voice to demand that governments do their jobs to stop the problem.